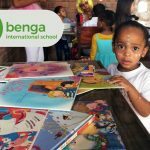 Tete, October 1st, 2017 – Benga Riverside and Enko Education announced today the launch of Enko Benga International School in Tete, Mozambique. Enko Benga is the ninth school of the Enko Education Africa-wide network of schools, and the third in Mozambique. 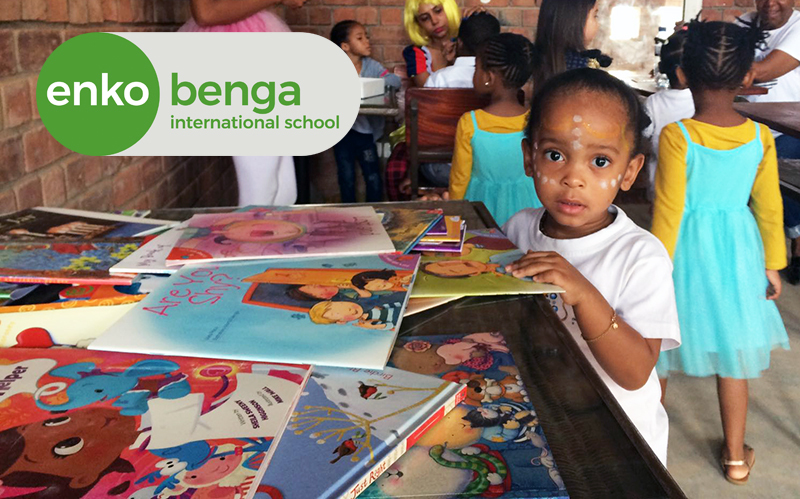 Enko Benga International School is the fruitful result of a partnership between the owner and residential community Benga Riverside and the schools’ operator Enko Education. “Enko Benga International School is part of the Benga Riverside project. We aim to create a new, affordable, high-quality mixed and integrated community which comprises not only residential, but also education, retail and health services.” explains Niccolo Polli, Stanford graduate and leader of the Benga Riverside project. Enko Education Enko Benga International School will provide high quality international education to students in Tete. The school will open in its first phase, for the January 2018 intake, as a Crèche and Primary School to learners aged 3 to 12 years old, and extend to open a Secondary school in the coming years. It will provide a learner-centred education through the prestigious International Baccalaureate curriculum. Enko Benga International School will offer the International Baccalaureate Primary Years Program (PYP), a reference in Primary education. The PYP prepares students to become active, caring, lifelong learners. It develops in them the capacity to participate to and take action in the world which surrounds them. It is also a great preparation to the IB Middle Years Program (MYP) that will be taught from Grades 6 to 10, leading thereafter to the IB Diploma Program (DP) taught in Grades 11 and 12 and delivering the world’s most prestigious secondary diploma. The program will be taught in English, yet designed for non-English speakers: students will progressively develop their fluency in English thanks to Enko Education’s tailored learning pedagogy. Indeed, in classes never exceeding 24 students, they will follow a high quality personalised education and make use of new technologies to enhance their learning experience. In the long-term, Enko Benga International School will offer the unique Enko Education university admission guidance program. The latter is the key to Enko’s success in securing its learners’ admission in the world’s leading universities and in securing financing for their studies. “There is a real eagerness for students across Africa to study abroad, and many opportunities for them in the world leading universities. Our guidance programme has already yielded spectacular results, with students from our first batch now studying in Yale College in the US, the University of Toronto in Canada or Sciences Po in France, all of them with scholarships” says Eric Pignot, co-founder and CEO of Enko Education and MIT graduate. Further than education standards, Enko Benga International School presents an outstanding infrastructure. “Designed by world-famous African architect Francis Kéré, the Enko Benga International School campus and the Benga Riverside residential community introduce a sustainable model to develop the affordable quality schools and houses the African continent critically needs. Investment costs are lowered through the use of best-in-class construction solutions that leverage local materials and the long-term sustainability of projects is ensured through the establishment of social infrastructure that becomes the heart of residential communities” explain Lucio Frigo, Founder and CEO of Materia, graduate from Bocconi University, Italy and Goldsmith University, UK. 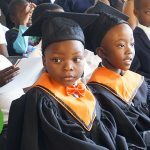 Tete embodies the clearest-cut choice to make by Enko Education for its third school in Mozambique: it is a fast-growing and dynamic city, located in the central west of Mozambique, generating around 35% of the country’s GDP. Carlo Gelfo, graduate from Bocconi University and lead investor in the project with 12-year investment experience, is convinced that “the growth potential of Tete is promising. Investing here as pioneers in real estate and education is exciting: the city is developing to become a key hub between the three African neighbouring countries and will be a driver of the future development of Mozambique“. With this new school, Enko Education is proud to pursue its mission of increasing access to the world’s leading universities through high quality international education in Africa. Its network now amounts to nine schools in Mozambique, South Africa, Cameroon, Ivory Coast and Senegal. Within the next five years, Enko Education is expecting to open over thirty additional international schools across Sub-Saharan Africa. Enko Education is an Africa-wide network of secondary schools that aims to increase access to quality education of an international standard for youth in Africa. Enko Education builds on the educational programs of the International Baccalaureate Organisation to enable talented youth across Africa to enrol in the world’s best universities. Currently present in Senegal, Cameroon, South Africa, Mozambique and Côte d’Ivoire, Enko Education is growing and aims at having 40 schools by 2022. Benga Riverside is a residential community in Tete, funded by VIIV Investments, a company focused on tech investments and socially responsible developments throughout Sub-Saharan Africa. The residential community builder Materia is a property development company which develops affordable housing and social infrastructure by leveraging local capabilities and materials together with best-in-class construction techniques.